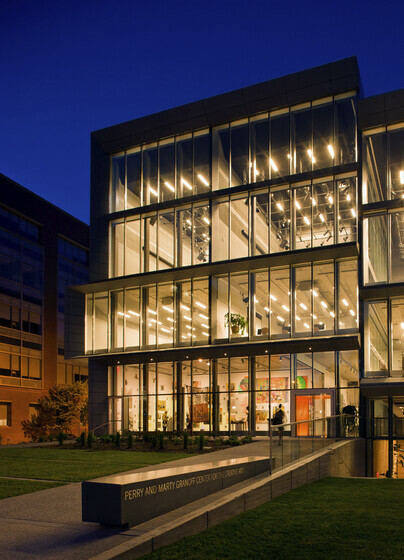 Inspired by Brown University’s high-performance design guidelines, Atelier Ten worked closely with the design team to optimize energy use and environmental performance for the innovative multi-disciplinary creative arts center. Starting from the competition phase, Atelier Ten worked with the design team to balance this building’s environmental performance with its complex program requirements for interactive art production spaces, recording studios, screening rooms, theaters, and gallery spaces. The design achieves an economy of program through dynamic shifted planes and flexible, multi-use spaces. 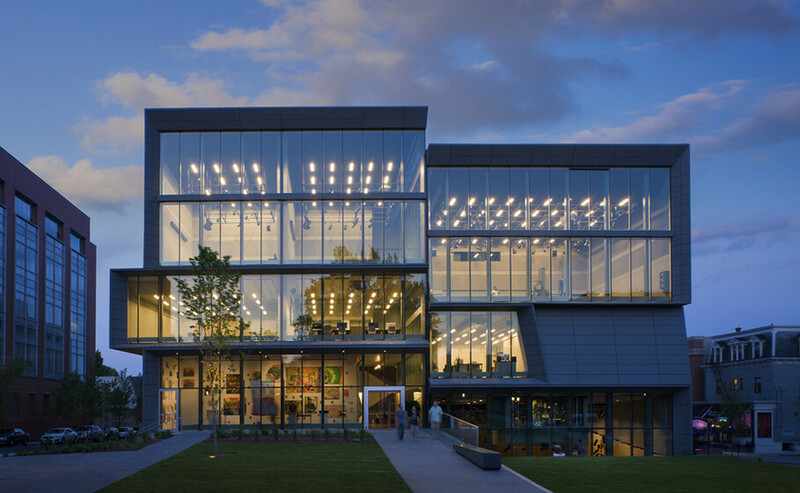 In order to attain Brown’s ambitious environmental standards for campus buildings, the design’s optimization starts with the integration of high-performance façades and mechanical systems. 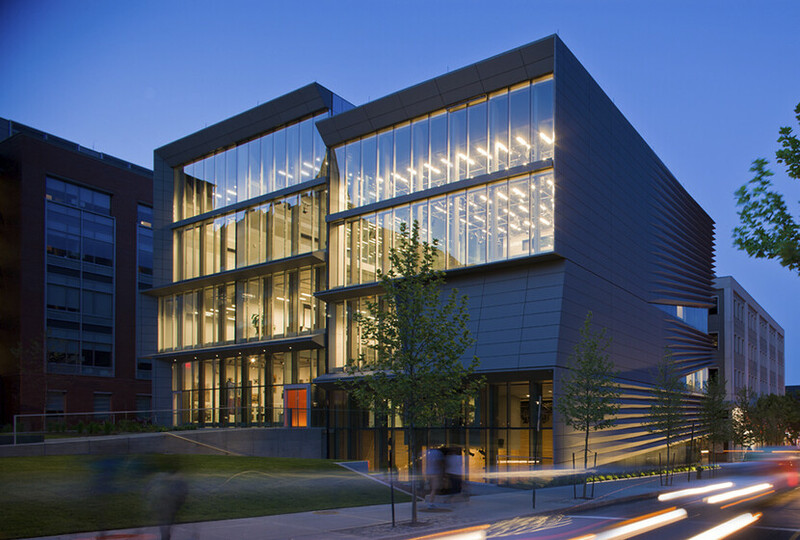 The west façade was designed to open to the campus and allow the public to peek into the creative happenings inside, and features an automated exterior shading system to mitigate solar heat gain and glare. Displacement ventilation and demand control ventilation reduce cooling energy use, while theatrical lighting controls and heat controls allow occupants to adjust the indoor environment and to respond to a variety of programmatic uses. Water use is reduced by over 40% through low-flow fixtures.